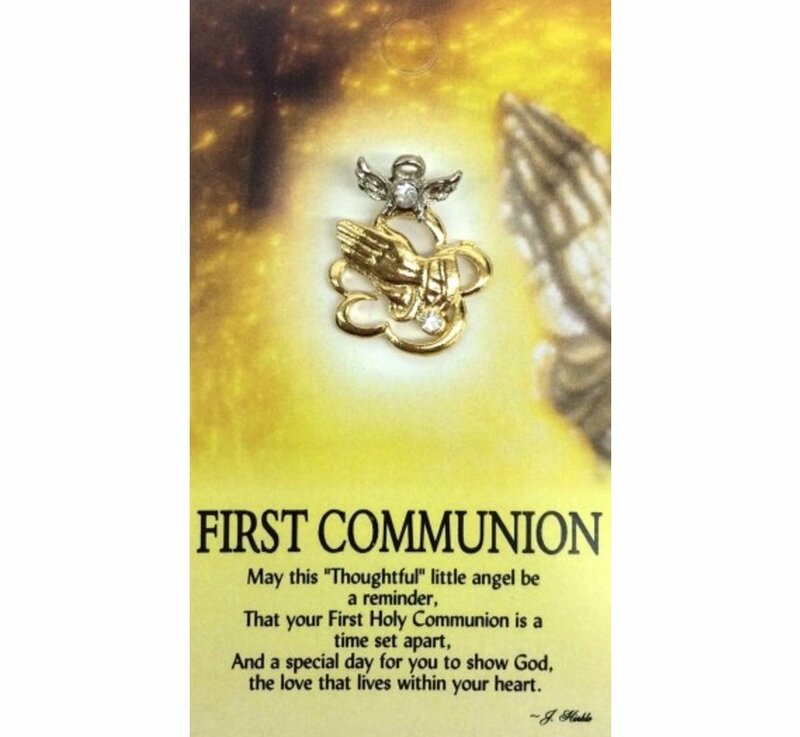 One of the earliest milestones in a person's life is when they make their First Communion. 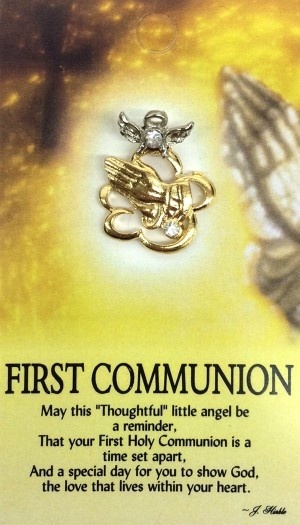 This Little Angel First Communion pin will serve as a treasure to be not only worn and treasured forever but serve as a reminder of that wonderful day when you experience your First Communion. 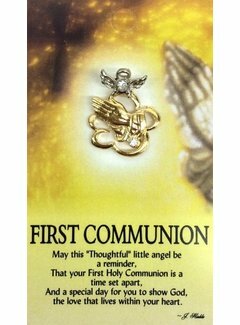 Our First Communion pin will be a constant reminder of that day when you first publicly showed your love and commitment to God.